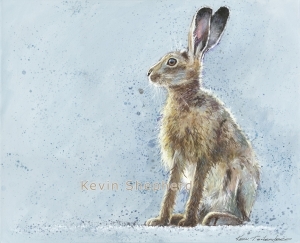 Kevin works from his studio at the Ferrers Centre for Arts and Crafts on the Staunton Harold Estate in Leicestershire. 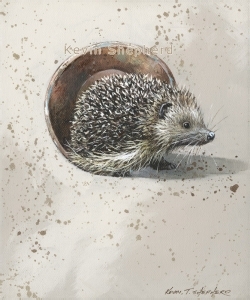 He has been a professional artist for over thirty years and seeks inspiration in the beautiful countryside of Leicestershire and Derbyshire, often taking his camera to capture wildlife in it’s natural habitat. 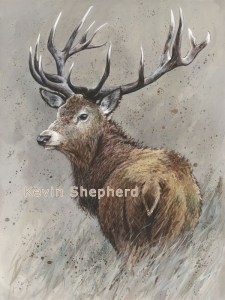 Although Kevin’s wildlife paintings are traditional in their subject matter, their composition gives them a contemporary feel. days – Tuesday to Sunday. CLOSED FROM MONDAY 15th October- 18th October. Re-open 19th October. Please call the above number to check opening times before travelling long distances.